The Tamiya TT02 Type-S transforms the popular multipurpose chassis into an entry level race car that the driver can develop alongside with their racing skills. I have long been a fan of the TT02 and regularly enjoy racing one in a pure stock class. 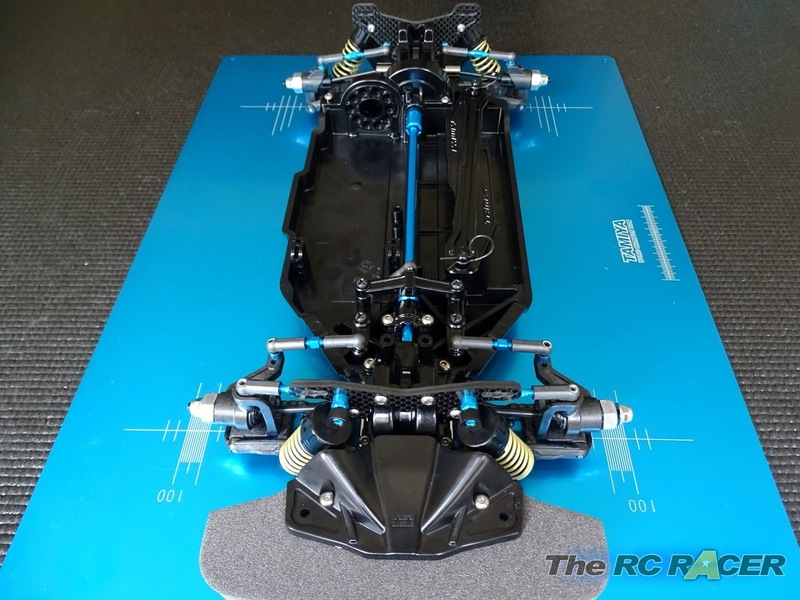 Although I have been aching to see how far the platform could go against a broader range of chassis that you would find in the average club. I was keen to get started on the build when the parcel arrived. 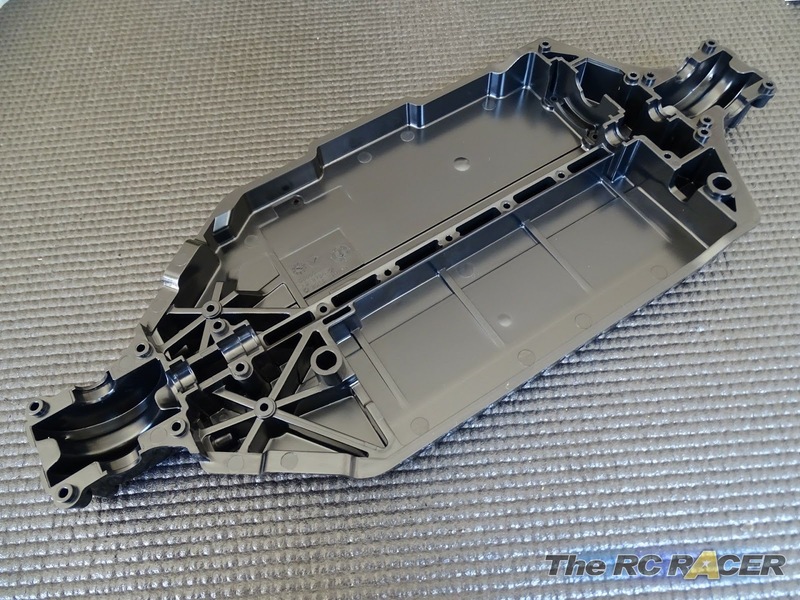 The TT02 Type S comes in a strong re-usable box that you can store the final car in once built. 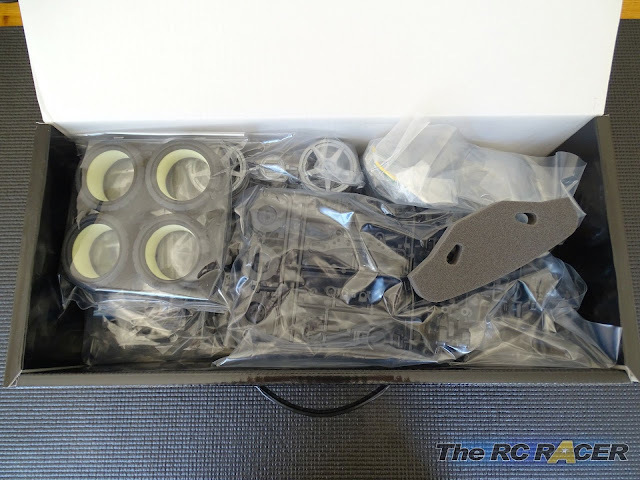 When you open the box you will see that it is stuffed with parts including a set of radial tyres and inserts which work well on a variety of surfaces. For this build I will add a few hop-ups as I like a bit of bling. 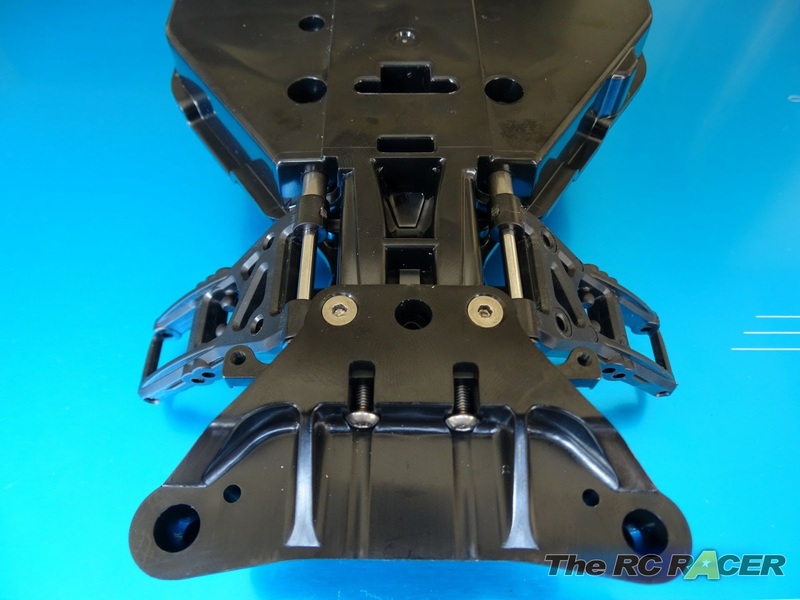 The chassis plate incorporates the lower front and rear differential casings. 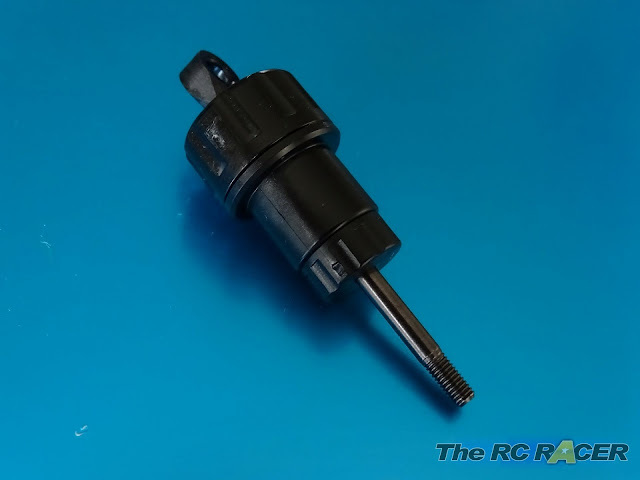 This ensures that the differentials will be aligned well to ensure that they are efficient in spinning the centre prop shaft. 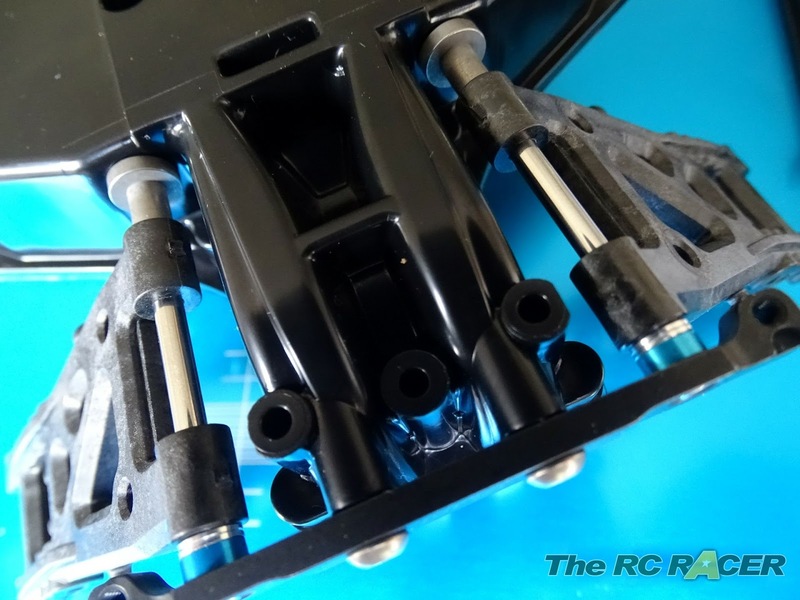 These parts are not essential to start off with, I will however be running a 13.5 brushless motor against the other racers at the club, so these will be strong and lightweight to cope with the torque. The high speed gear set will also provide me with the ability to change spur gears if I need to in the future. 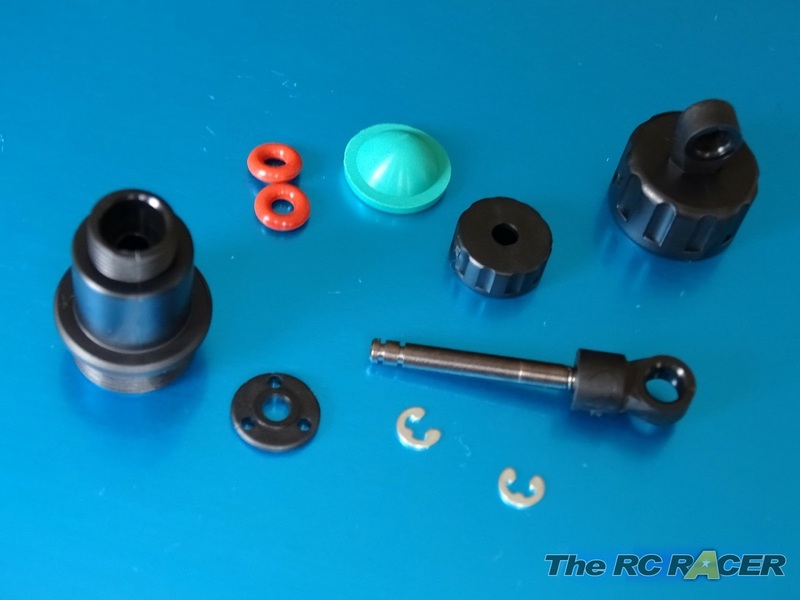 All of these parts are cheap to obtain from your local Tamiya stockist, and are the three upgrades that I would recommend once you have started to run the TT02. So now we start on the drivetrain. 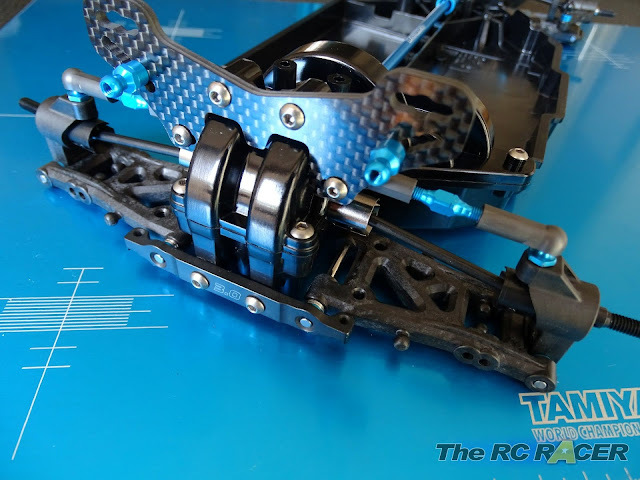 The TT02 Type-S comes with a full set of bearings in the kit so there is no need to go mad with grease when building the car.. in-fact I dont use any on the drive train at all as I think it makes it cleaner and more efficient. The central prop fits perfectly, and you can spin it freely in the chassis. 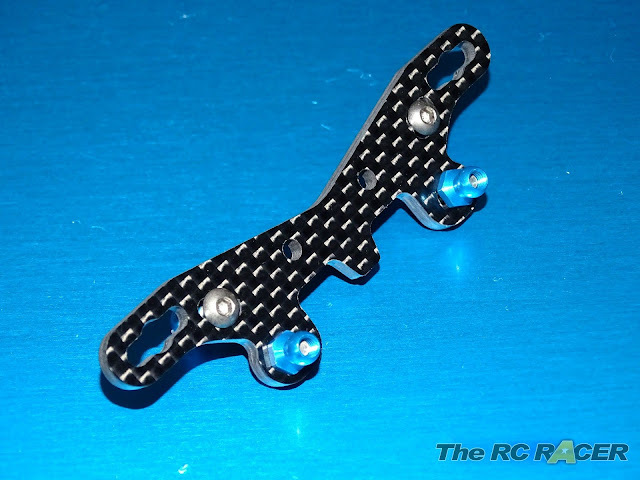 The differentials are made from glass re-enforced plastic and they are really light and reliable for onroad racing. The internal bevel gears are held in place with the cross member. As this is a Tamiya kit the parts are nicely moulded so there is not issue with anything not feeling smooth. 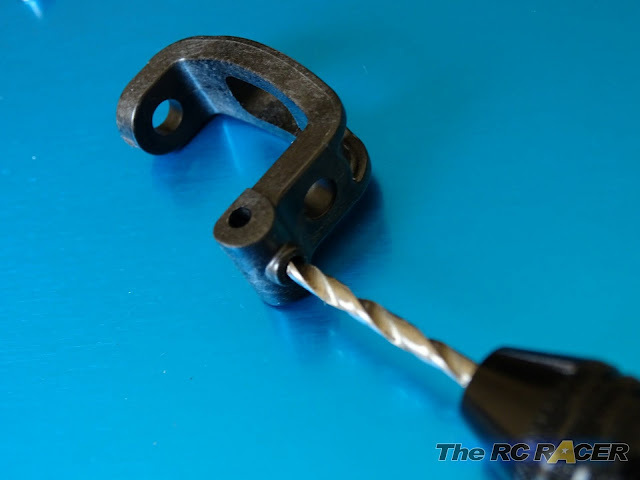 Although you do need to ensure that you have cut the parts of the sprue, eliminating any burs that could ruin the action. 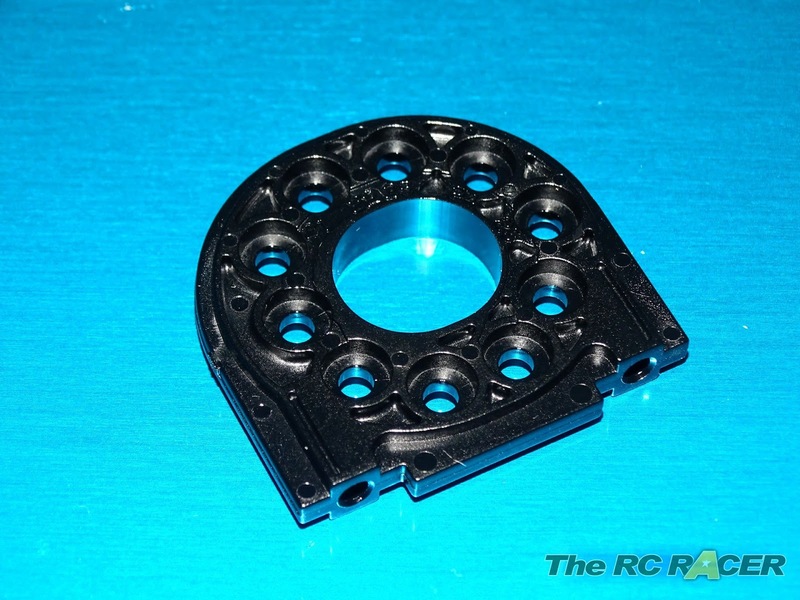 The differential is held in place with 4 screws, and spins on some 1280 bearings. The TT02 does not come with sealed oil differentials which you will find in many of the expensive top level race kits available. You can still easily tune them with grease. 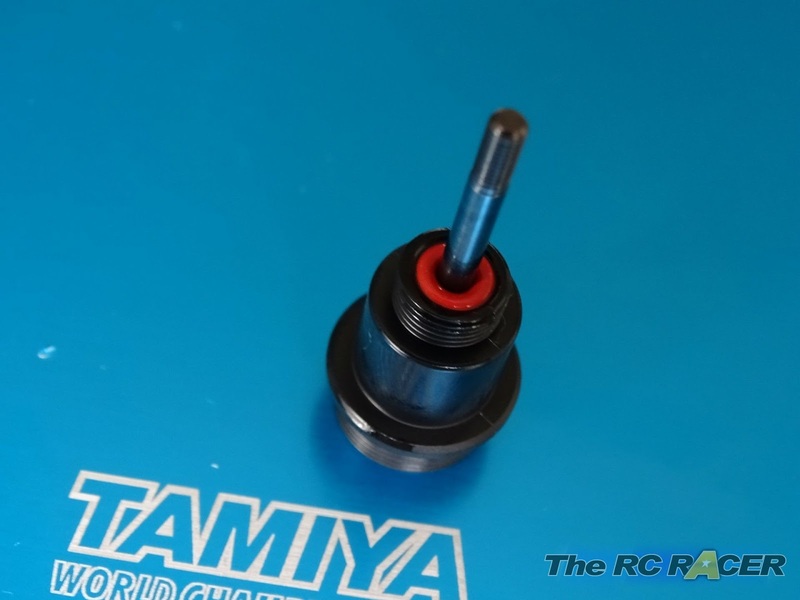 The included kit grease is fine, although the Tamiya AW grease is more sticky so you have a larger range to tune the differential. As a rule it is always better to have the front differential stiffer than the rear. You can just add more grease, however Tamiya do a couple of great options. 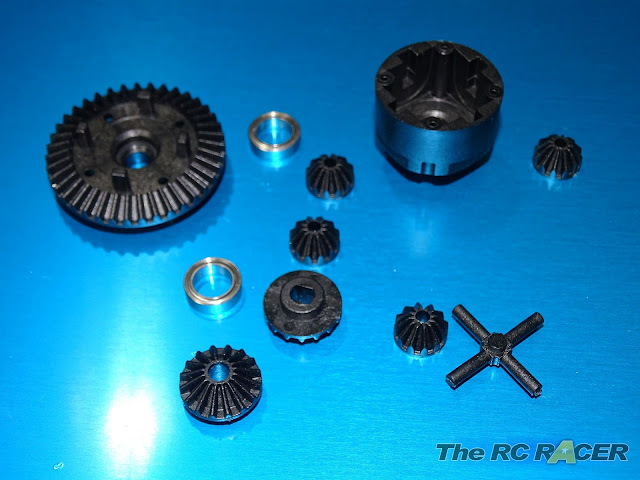 The first is the differential putty. This can make your differential very tight. This gives you much more corner exit speed than a standard differential, but does take away some of the initial corner entry speed. 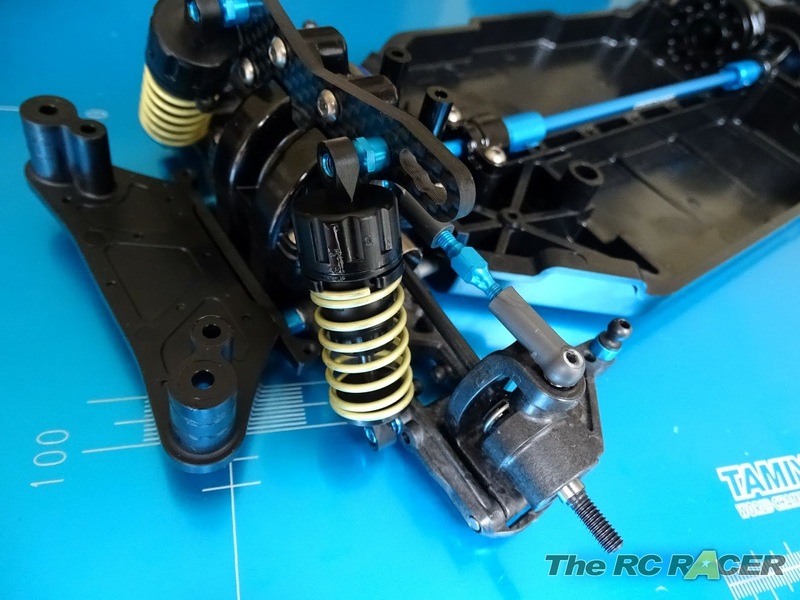 Crucially the putty still provides a little movement to the outdrives. 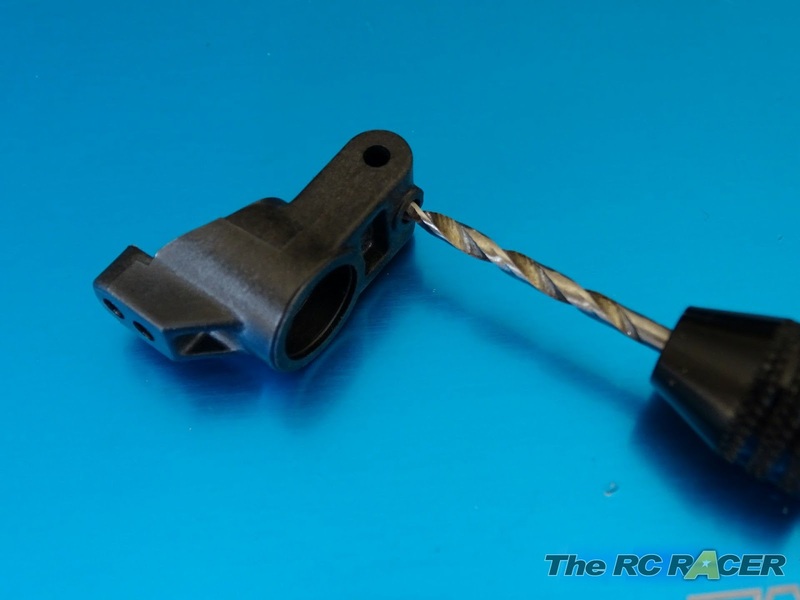 This can help look after your drive train. 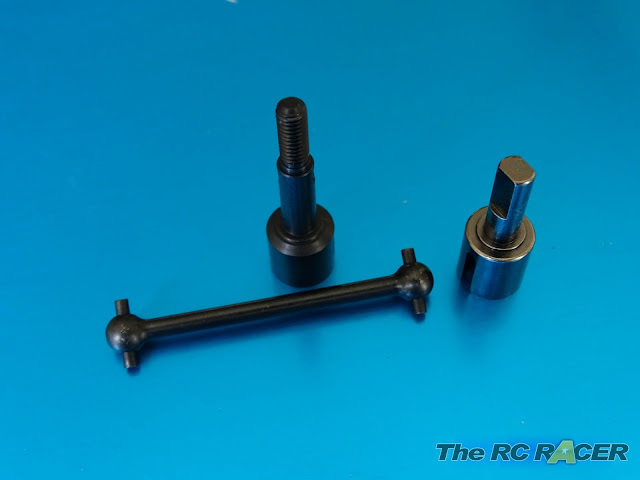 The differential locker provides you with a locked spool. 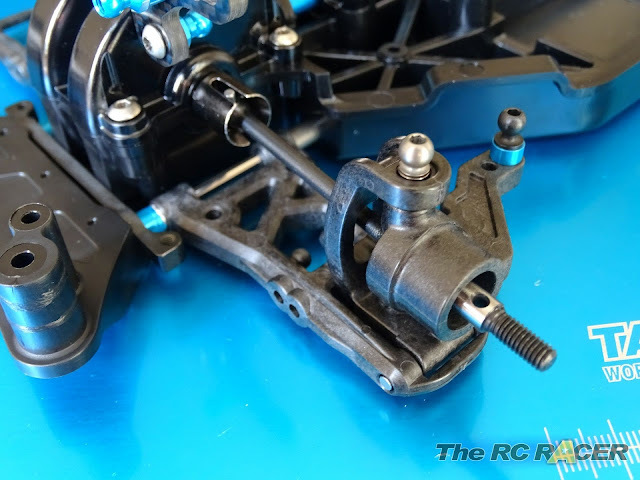 These are common in many race chassis nowadays and assuming you can still enter the corner well you will find this the fastest solution on large tracks. 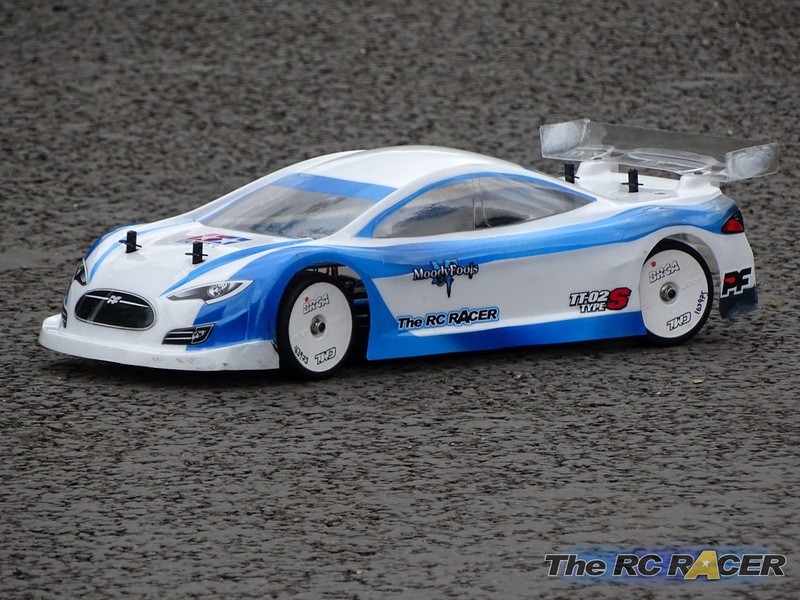 As I will be racing at my local club I have gone for the putty. It is a good compromise for the small technical track. It also will look after the drive train in case I hit too many boards. 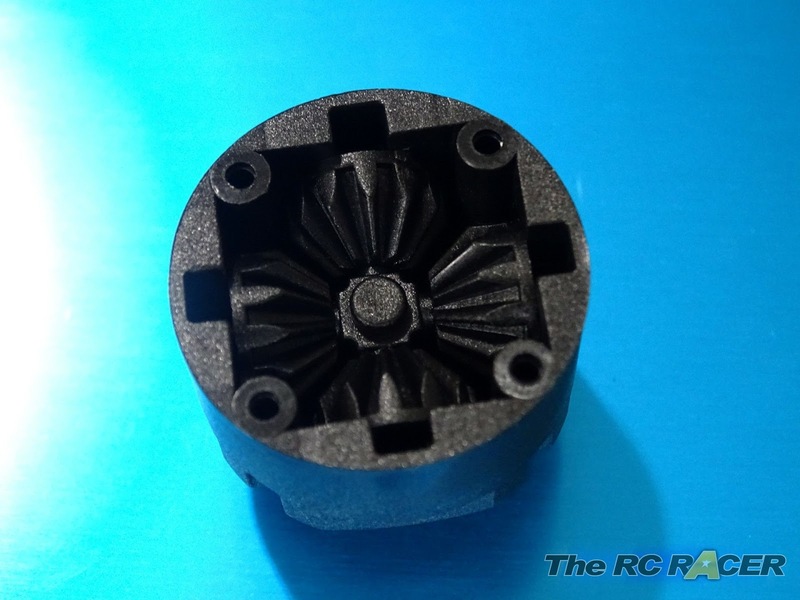 The motor mount included allows you to have a wide range of gearing options. With the included 70t spur gear you set a gear ratio from 11.38:1 down to 7.28:1. 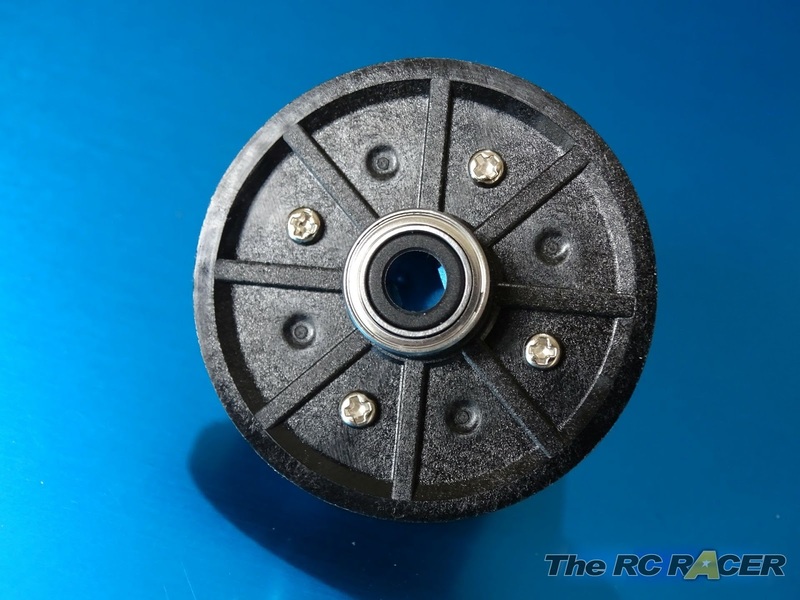 (The Kit 22t pinion gives 8.27:1) thanks to the innovative reversible motor mount. 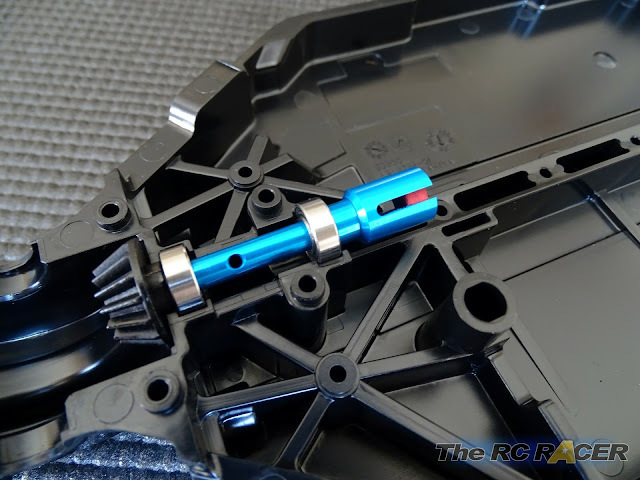 The TT02 uses 0.6 module pinions and spur gears. 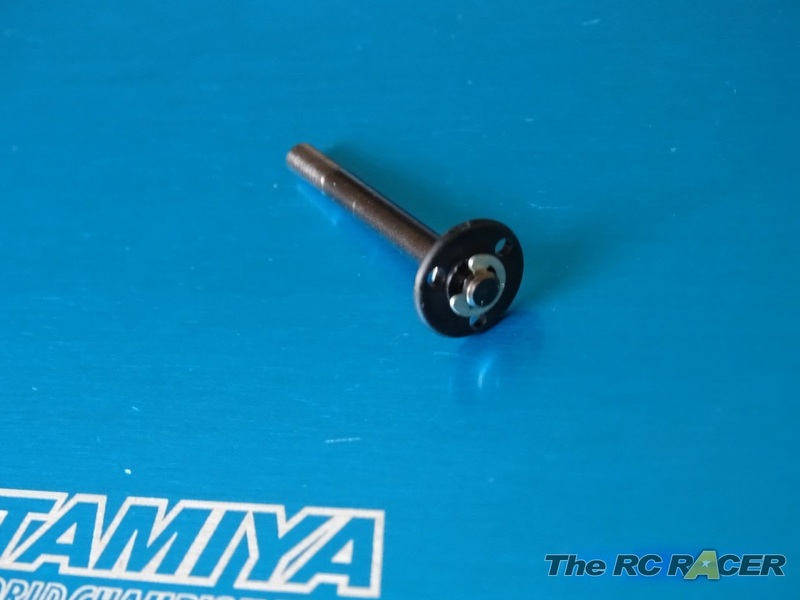 If you are going to run hot motors Tamiya also supplies an alloy motor mount (Part no 54558), that will not warp with extreme heat, although this is not really a concern for anyone that will be racing. Time to add the upper differential covers onto the chassis, alongside the gear covers. 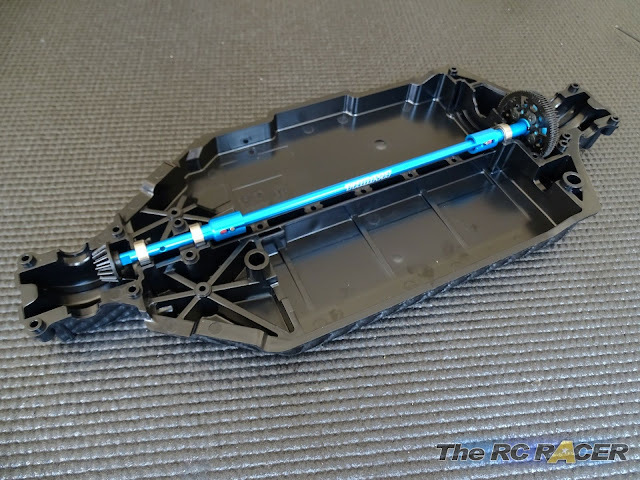 You can also include the motor (The kit comes with a Tamiya Torque tuned motor). I will however be adding a 13.5 brushless motor in this kit as it is common at my local club. 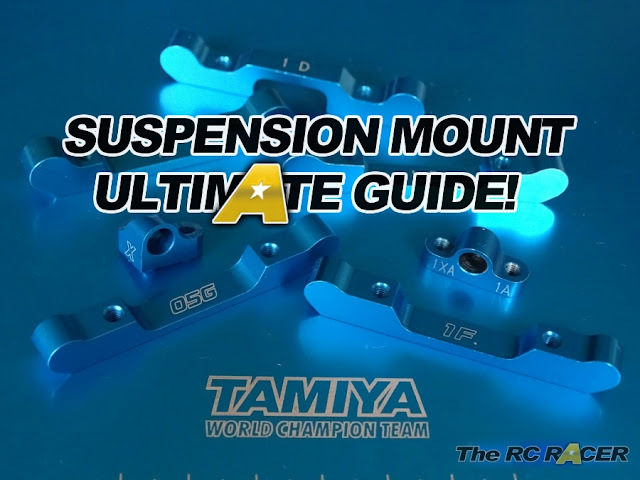 Time to build the suspension towers. These are made from GRP and provide a range of upper shock positions. 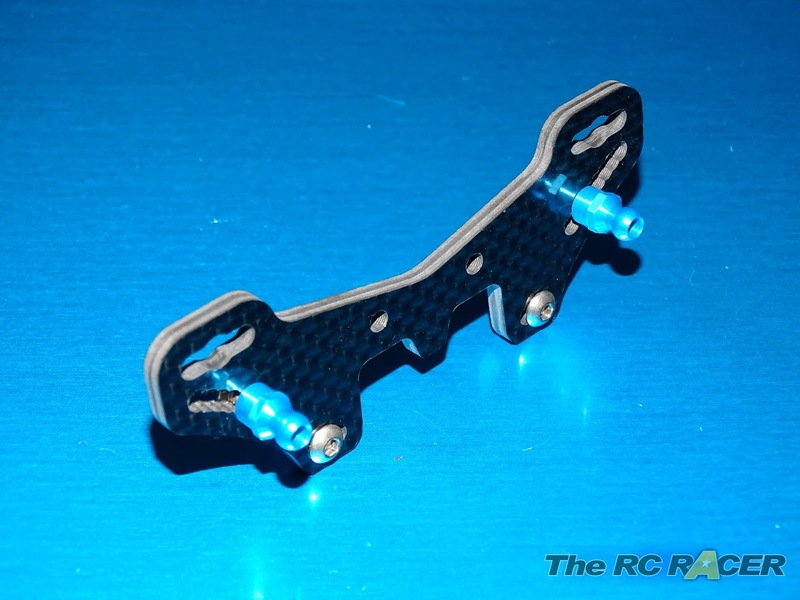 I actually used the hop up carbon parts (Tamiya 54632 for Front, and Tamiya 54633 for rear). They supposedly are even stiffer, although I simply added them as I couldn't resist picking them up as I am a sucker for Carbon. Now it is time to add the suspension arms. These represent a huge change from the standard TT02. 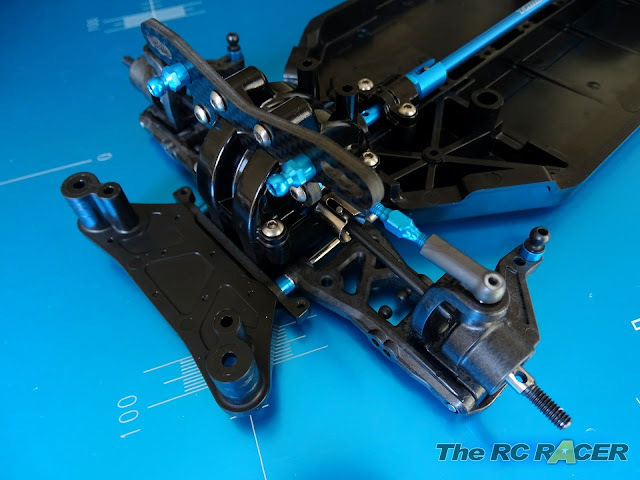 Included in the kit are a set of 'Reversible Suspension arms' These were first used on the TRF cars and they provide the TT02 with a more advanced suspension geometry. The arms included in the kit are stiff, and you can see that they are made from Glass re-enforced plastic. 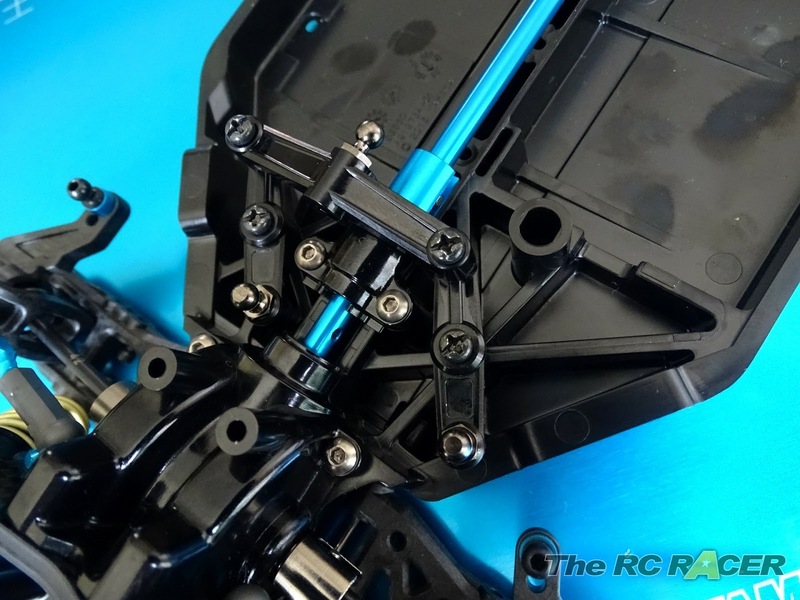 The front and rear arms are held in place with some suspension pins and spacers. As you would hope they are mounted straight with no arm sweep. When attached to the chassis they move freely, and fall under their own weight. The pins are held in by the bumper mount. The rear arms are mounted in a similar way, although this time the arms will not be straight. They will be angled to provide 3 degrees of toe-in at the rear. I replaced the 3mm shim included in the kit with one 2mm shim and two 0.5mm shims so I can change wheelbase. Again the arms move smoothly and fit well. I use a hand drill to open the lower grub screw hole in the hub. 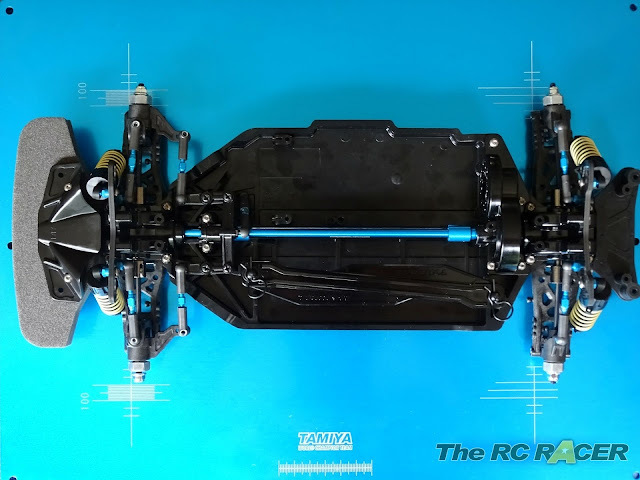 The TT02 TypeS has a C-Hub front suspension set-up as opposed to the pivot-ball design used for the Std TT02. This gives you 4 degrees of caster (Again you can change this to 6 degrees with different C Hubs). As a tip I find it best to always mount the lower screw and upper kingpin into the front knuckles before attaching them. 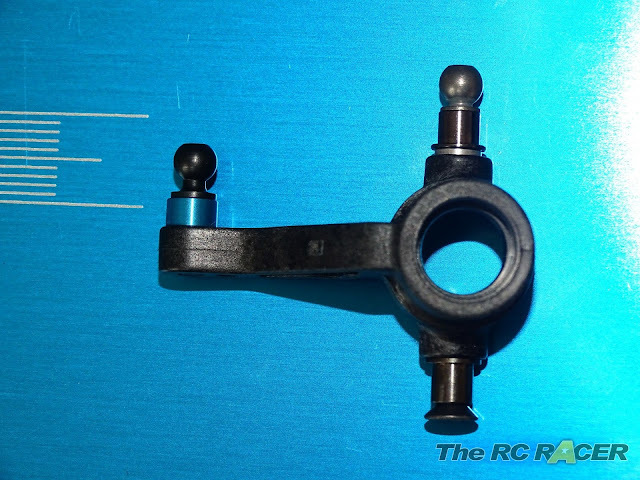 Doing this ensures that they are already threaded, providing you with a nice easy (and straight) attachment when they are attached to the arms. 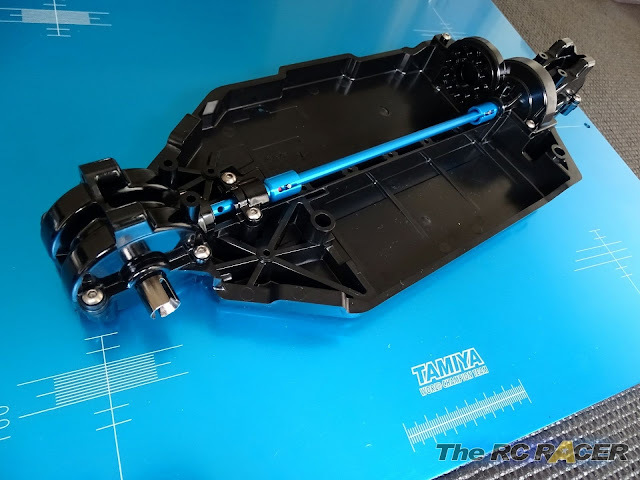 The TT02 Type-S includes steel 42mm driveshafts, axles and outdrives, these are a big improvement from the standard TT02 and they are able to hold up well to the rigours of racing. The parts all fit together well with minimal slop and a very free range of movement. The C-hubs are held in place via the grub screw locking in the 22m shaft. Time to attach the front upper arm turnbuckles. These are made from steel, so will not bend when hit. Ideal for beginners as once these bend even slightly you will have a car that handles odd. 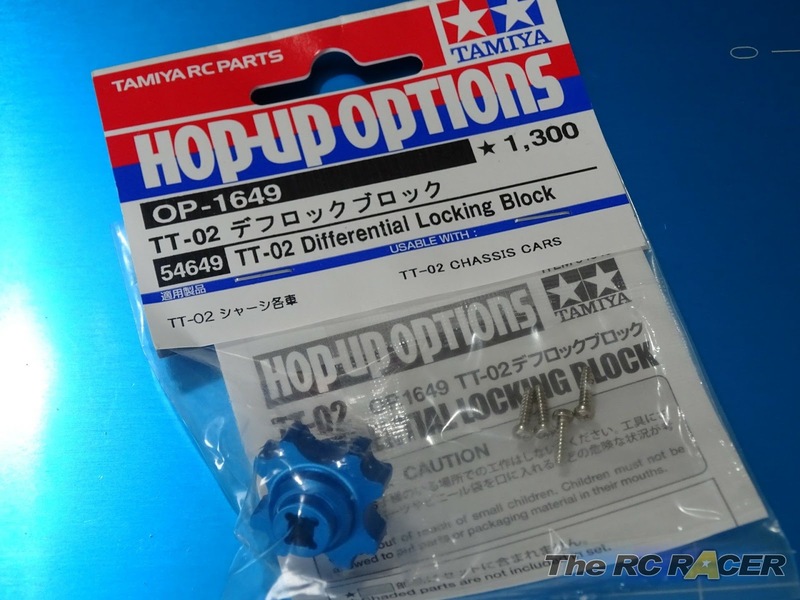 I actually swapped them out for aluminium versions (Tamiya part no 54248) Simply as I had them in my spares box (and I like the blue). They are actually a little lighter (the kit parts weigh 1g each and the aluminium are 0.5g each. Although I would not recommend them for beginners as they are not as strong as the kit versions. 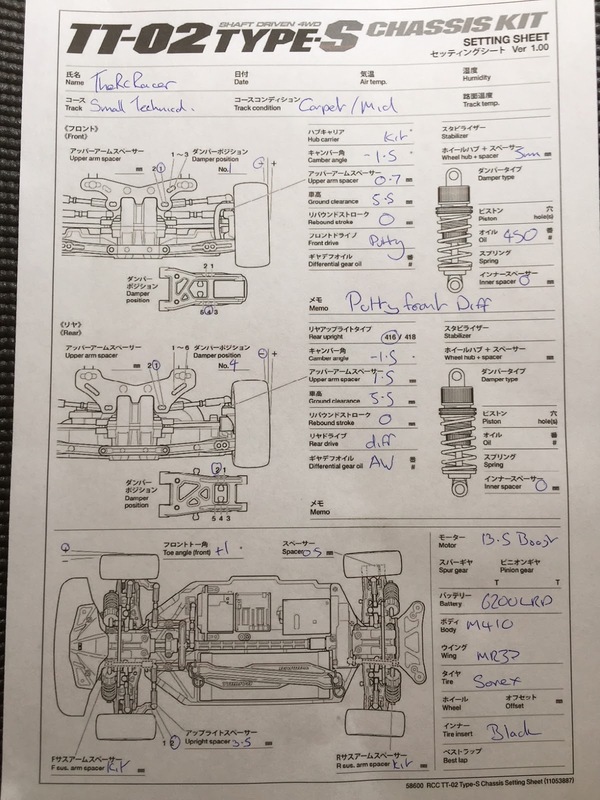 Now moving to the rear of the car we need to attach the rear hub (Again drill out the grub screw hole to ensure that it is able to grab the suspension shaft. When attached the rear arms provide 3 degrees of rear toe in. This will ensure that the rear of the car is quite calm on the corners, much more so than a stock TT02. Shocks are next. 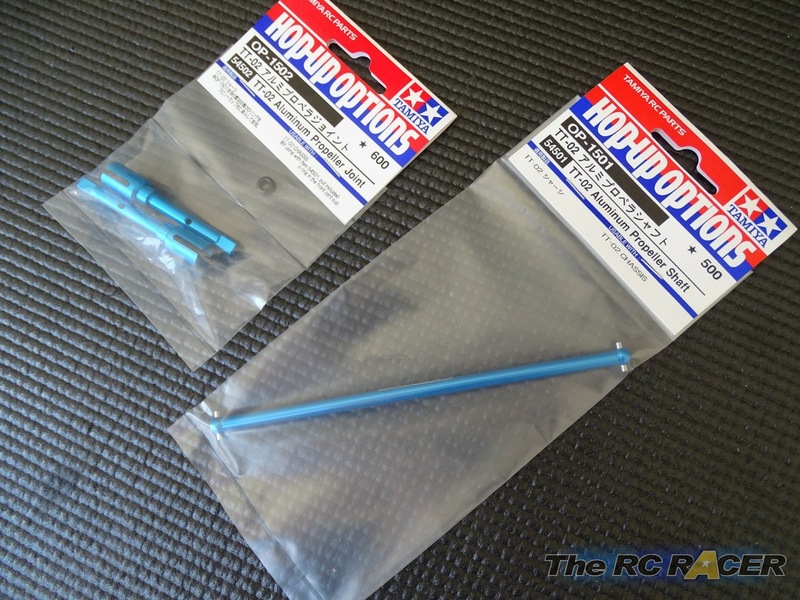 Included in the kit we get classic Tamiya CVA dampers. Now attach the lower cap and fill up the cylinder with oil. Attaching the upper oil seal and wiping away any excess mess. 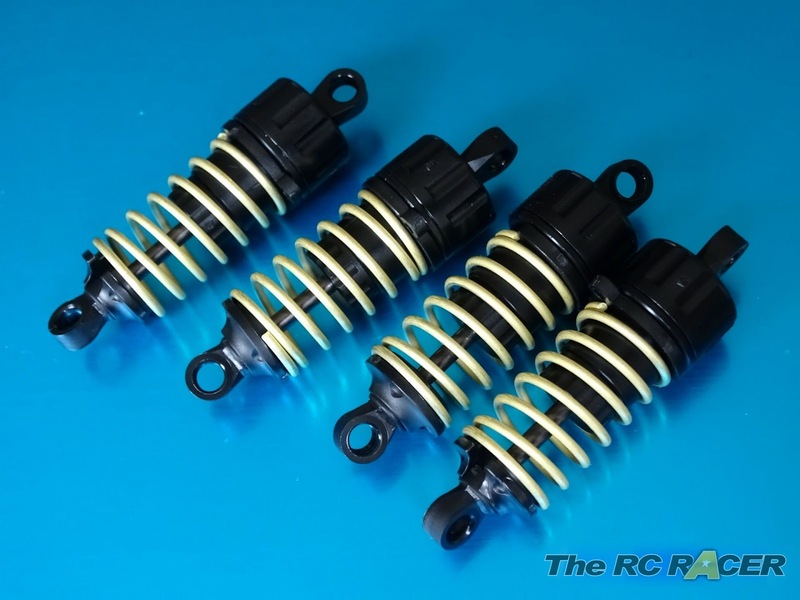 The gold springs are quite new to me, they feel a little stiffer than the standard silver springs that you find in many Tamiya kits. With these attached we are nearly finished. Front Toe out - More initial steering less in the corner. As a rule of thumb you never want to have more than 1 degree of either of the above settings. Time to add the front bumper.. reassuringly big and the steel 12mm wheel hex's. Now the chassis is built it's time to get ready to race at the club. 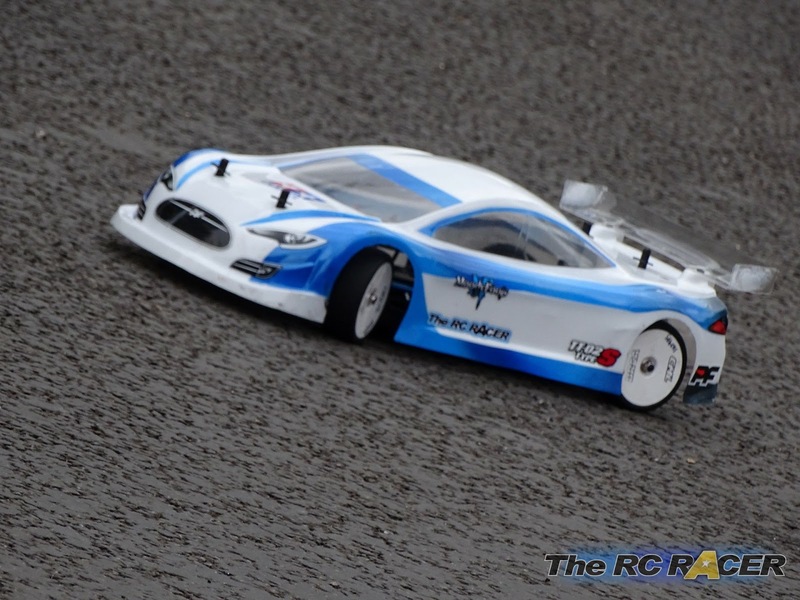 The car was ready to test at my local club. A small tight carpet circuit. 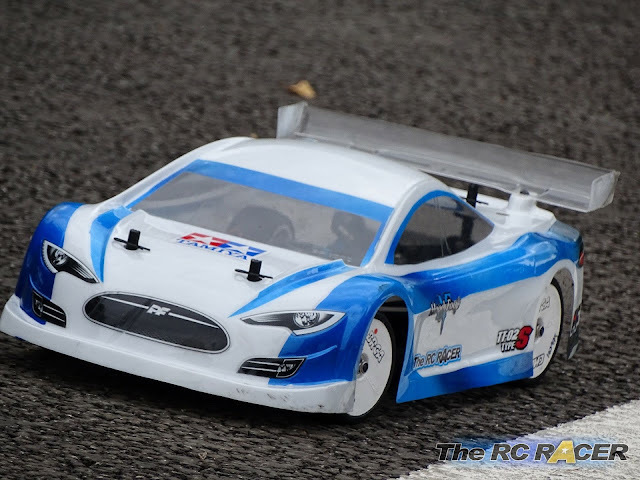 I had mounted a 13.5 brushless motor in the car and geared it low to match the same FDR that I would usually run when running my TRF. As is always the way, I took it very easy on the first run out. (I never make it down in time for practice). 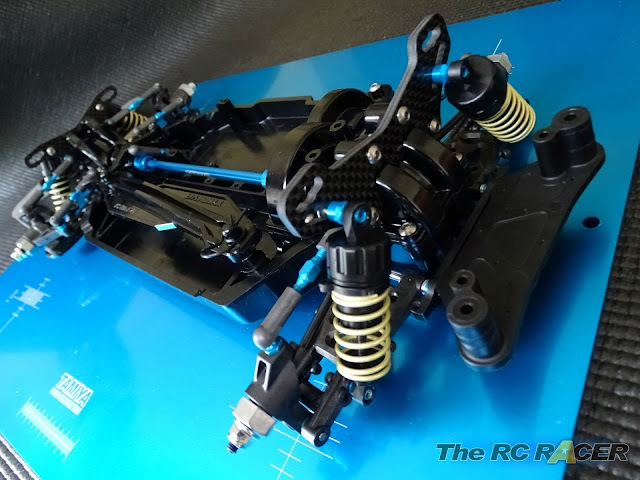 I had mounted the race tyres on the car (Sorex 28's) and sauced them up and the grip was fine, actually it was slightly better than I expected as the base set-up is very forgiving. The TT02 was really easy to drive and over the five minutes I started to drive it more and more to its limits. I was surprised at just how planted it felt on the track. The main issue was that I didn't feel that I was able to get enough initial steering on the way into the corner, so I had to slow down a little too much to keep on the pace of the others. 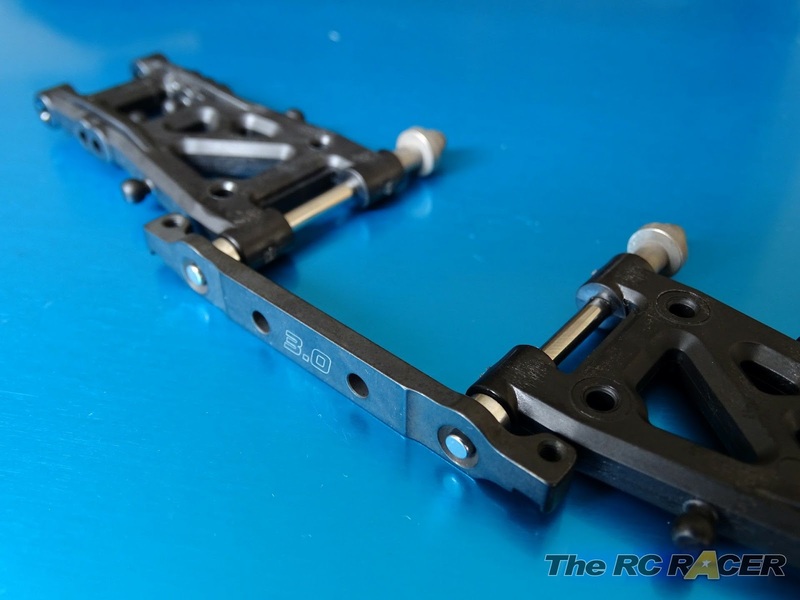 To give the car more steering I increased the camber to 1.5 at the front. Now I was more confident in how the car would handle I was going to race it a lot harder against the field of drivers. At the sound of the buzzer we launched off. The shaft drive does provide an advantage at the start as there is no give in the drive train. Instantly putting me mid pack. The fast sweeper was fine, the TT02 rolled nicely into corner and I was able to control the steering with the responsive throttle control that the chassis provided. The car was better in the whole corner, although I still needed more coming into the corner. The main thing was that I was able to hold onto my third position quite easily. The car was easy to drive so I made no mistakes, despite losing too much time on some of the more twisty sections. For this race I had moved the inner shock position further in. I drove up to the line, hit the throttle and launched away. The car had slightly better turn in than before and was still easy to drive. Again I found myself in third position, this time however I was able to make time up on the second place driver. I slowly creeped up towards him over the next couple of minutes and found myself on their tail. I was able to hold on behind them, I was loosing a little time on the two most technical corners (still not quite enough corner speed). However coming out of the last corner the acceleration of the TT02 was much better so I could quickly catch back on his tail. I kept on the pressure as the chassis was very easy to drive. Suddenly at the last corner they made a mistake and ran wide. I took my chance and used the superior acceleration to launch out of the corner first. As we raced side by side I was ahead heading into the sweeper. Unfortunately the driver had overcooked it coming into the corner and hit my car at full tilt throwing it off the track at full speed into the wall. The massive thwack was enough to think my night would be cut short, however once it was retrieved by a brave marshal and placed on the track the car was still all in once piece.. albeit the race was over. The last race of the night and I was pumped up to get second place. I moved the rear shocks out a little to help with the steering and I also reduced the rear camber to -1.5 deg. The changes had really helped free up the chassis. It was much more lively around the apex, which makes it slightly more demanding to drive, but faster. It was really noticeable on the technical parts of the track and I was much closer to the ultimate pace of the fast two racers ahead. I approached the second place racer and this time I was able to exert much more pressure as I was able to match them all around the track. The zip out of every corner added to the intimidation and whilst the car was not the fastest on the straight, the tight circuit really showcased one of the benefits of the shaft drive. We approached a back marker and as they hesitated to let us past, I just dived into the corner (hoping they would move). Luckily that paid off and I came out of the corner with a decent advantage. With the 4 minute tone playing in the hall I knew that the pressure was on. I was happy with second but I wanted to push as hard as I could. After 30 seconds (and thanks to traffic) I was chasing the first place driver. They kept their car on the lines and it was really hard to get past. I was able to hound them for most of the circuit, although on the S section I didn't quite have the left/right transition speed as the chassis ahead, although I was close. I ended up less than a second behind, a great result especially when you consider the difference in set-up time between the two cars and the price. As this kit is aimed at the entry level club racer, it is important that it is easy to build and the quality of the components is high. 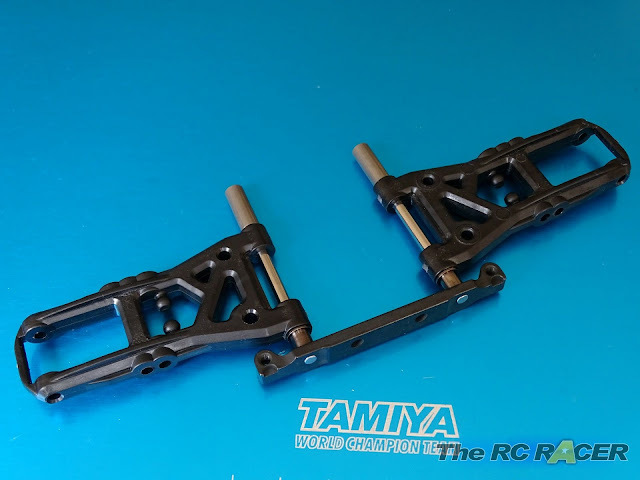 The Tamiya TT02 Type-S scores high in both these areas as it is very simple to build, and the quality of the parts is second to none. 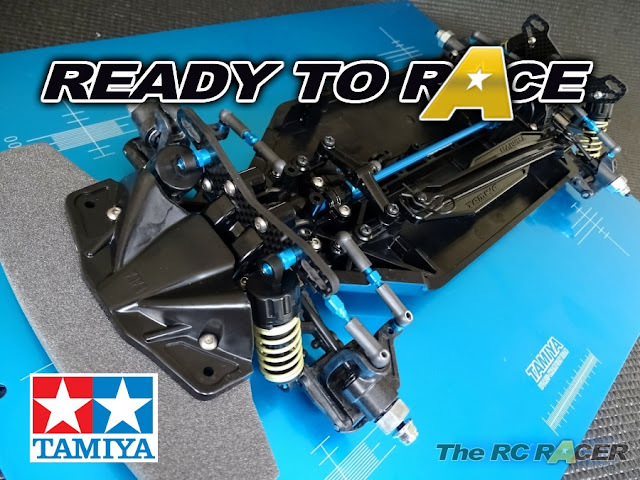 The Tamiya TT02-S surprised me on how well it performed competing with the other chassis at the club that are much more expensive. The other great thing is that the kit settings provide a very neutral and easy to drive car. The car has a good amount or roll in the corners which ensures that it is an assured drive for a beginner driver. Once you have got confident moving it around the track the driver can then tune the chassis to gain more speed in the corners as you make the car more twitchy as your skills develop. Importantly the price is also really good. You get a chassis, with a motor and tyres / wheels for just over £100. So the initial investment is low, allowing people to try out the hobby without a large investment. 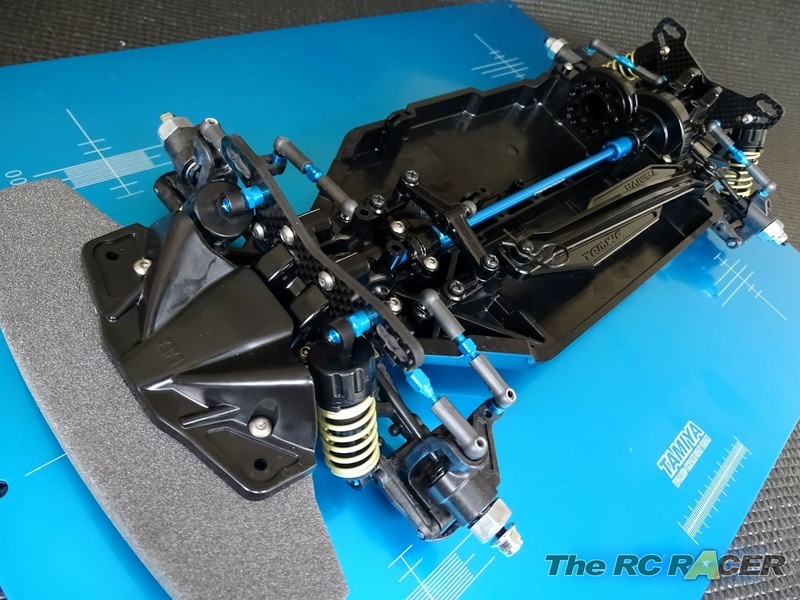 The only potential issue I have are the gearing options available in stock for, it is hard to get the chassis to have a low FDR if running a pure stock class (Although there are parts available to allow you to do so). 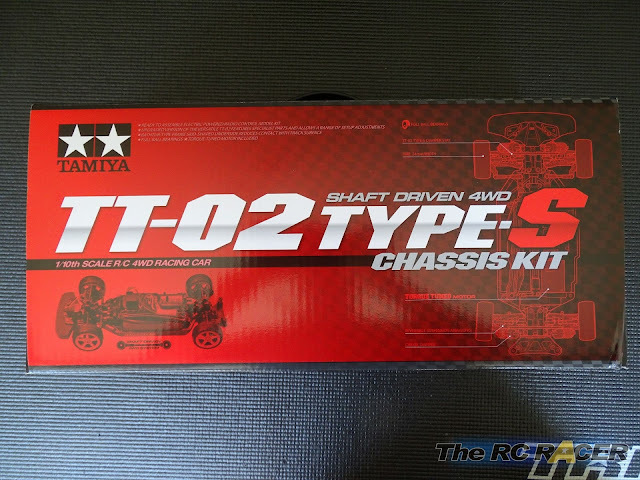 Overall though the Tamiya TT02 Type-S is a great base for starting out. There are loads of hop-ups available from your local model shop. You can then just add these to the car as you develop with it. I think it is a good route as it stops a driver being overloaded with options at the beginning and they will then learn what each new part can provide. I intend to tune this chassis as far as it can go over the next few weeks as I am keen to see how much potential it can unlock. 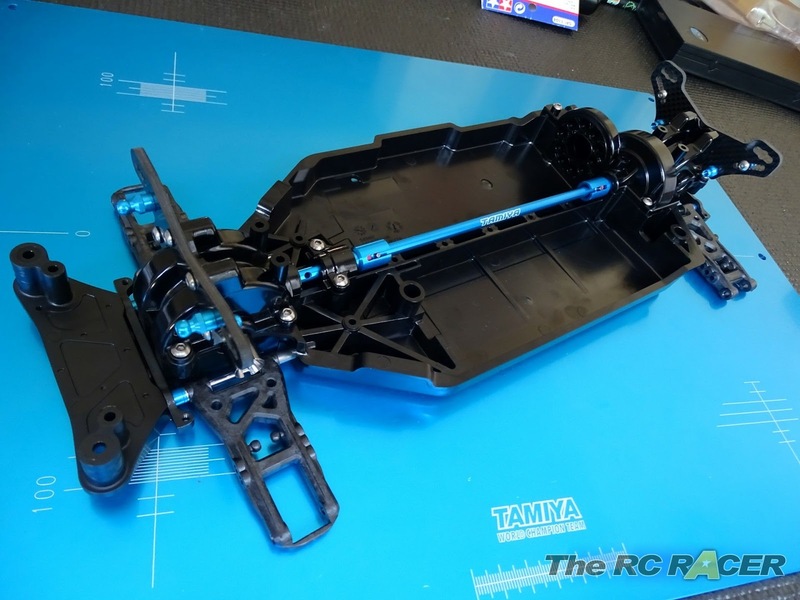 If you want to get a Tamiya 58600 TT02 Type S, they are available from your local UK Tamiya Stockist. Contact http://www.hobbyco.net/ for more info.